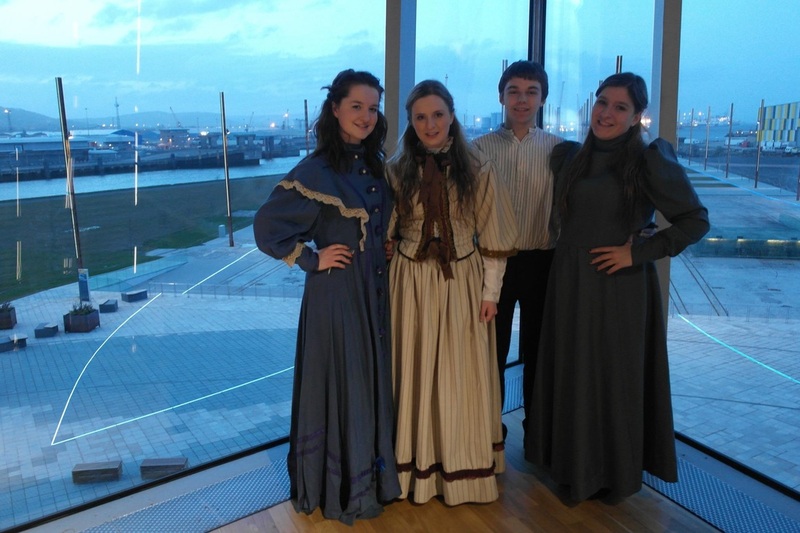 On April 12th 2013 at Titanic Belfast, Ravara Productions was represented by five members to take part in an evening to commemorate the 101st anniversary of the sinking of the Titanic. As the audience made their way along the slipways, were the Titanic was built, they heard a monologue from each actor who represented a person who was aboard the Titanic. With costumes to match the timing the whole thing really was a reminder of what those people must have gone through. While all monologues were going on, the names of all those lost 101 years ago was being read out. It was an amazing sight to see so many people turn out to remember those lost. After the monologues there was also a candlelit prayer inside the Titanic Building to finish the night. An amazing experience for all the young people involved.